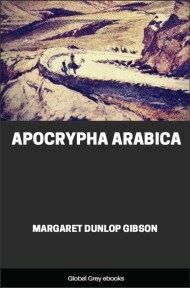 This book contains translations of all of the texts found in volume I of the Oxford University Press 'Apocrypha and Pseudepigrapha'. 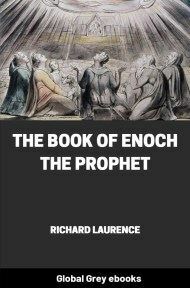 Non-Canonical texts such as the first and second book of Adam and Eve, the secrets of Enoch, the Psalms of Solomon and the Testaments of the Twelve Patriarchs. 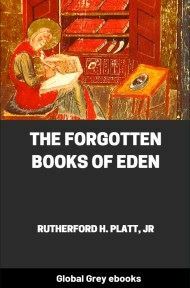 PRESENT day controversy that rages around the authenticity of the Scriptures and how human life began on this planet must pause to consider the Adam and Eve story. Where does it come from? What does it mean? The familiar version in Genesis is not the source of this fundamental legend, it is not a spontaneous, Heaven-born account that sprang into place in the Old Testament. It is simply a version, unexcelled perhaps, but a version of a myth or belief or account handed down by word of mouth from generation to generation of mankind-through the incoherent, unrecorded ages of man it came--like an inextinguishable ray of light that ties the time when human life began, with the time when the human mind could express itself and the human hand could write. This is the most ancient story in the world--it has survived because it embodies the basic fact of human life. A fact that has not changed one iota; amid all the superficial changes of civilization's vivid array, this fact remains: the conflict of Good and Evil; the fight between Man and the Devil; the eternal struggle of human nature against sin, That the Adam and Eve story pervaded the thoughts of ancient writers is seen in the large number of versions that exist, or whose existence may be traced, through the writings of Greeks, Syrians, Egyptians, Abyssinians, Hebrews, and other ancient peoples. As a lawyer might say who examines so much apparently unrelated evidence--there must be something back of it. The version which we give here is the work of unknown Egyptians (the lack of historical allusion makes it impossible to date the writing). 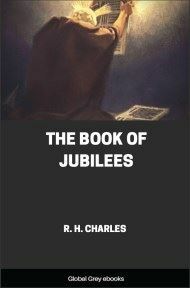 Parts of this version are found in the Talmud, the Koran, and elsewhere, showing what a vital rôle it played in the original literature of human wisdom. The Egyptian author first wrote in Arabic (which may be taken as the original manuscript) and that found its way farther south and was translated into Ethiopic. For the present English translation we are indebted to Dr. S. C. Malan, Vicar of Broadwindsor, who worked from the Ethiopic edition edited by Dr. E. Trumpp, Professor at the University of Munich. Dr. Trumpp had the advantage of the Arabic original, which makes our bridge over the gap of many centuries a direct one. The reading of these books is an adventure. You will find the mind of man fed by the passions, hopes, fears of new and strange earthly existence rioting, unrestrained, in the zest of self-expression. You roam in the realms of mythology where swiftly the aspects of nature assume manifold personalities, and the amorphous instinct of sin takes on the grotesqueries of a visible devil. From such imaginative surroundings you find yourself suddenly staring at commonplace unvarnished events of family life--and such a family as "the first earthly family" was! They had all the troubles, all the petty disagreements, and the taking sides with one another, and the bother moving, and "staying with the baby," that in the total mark family life to-day. You will see it when you peep beneath the overlaying glamour of tradition. "This is we believe, the greatest literary discovery that the world has known. Its effect upon contemporary thought in molding the judgment of the future generations is of incalculable value. "The treasures of Tut-ank-Amen's Tomb were no more precious to the Egyptologist than are these literary treasures to the world of scholarship." But we prefer to let the reader make his own exploration and form his own opinion. 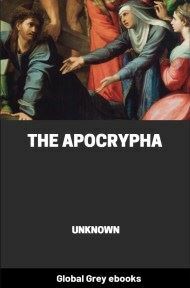 The writing is arresting enough to inspire very original thoughts concerning it, In general, this account begins where the Genesis story of Adam and Eve leaves off. Thus the two can not well be compared; here we have a new chapter--a sort of sequel to the other. Here is the story of the twin sisters of Cain and Abel, and it is notable that here the blame for the first murder is placed squarely at the door of a difference over Woman. Book I. The careers of Adam and Eve, from the day they left Eden; their dwelling in the Cave of Treasures; their trials and temptations; Satan's manifold apparitions to them. The birth of Cain, of Abel, and of their twin sisters; Cain's love for his own twin sister, Luluwa, whom Adam and Eve wished to join to Abel; the details of Cain's murder of his brother; and Adam's sorrow and death. 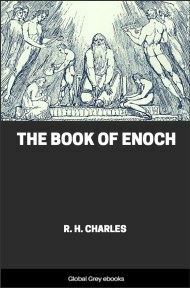 Book II The history of the patriarchs who lived before the Flood; the dwelling of the children of Seth on the Holy Mountain--Mount Hermon--until they were lured by Henun and by the daughters of Cain, to come' down from the mountain. Cain's death, when slain by Lamech the blind; and the lives of other patriarchs until the birth of Noah.